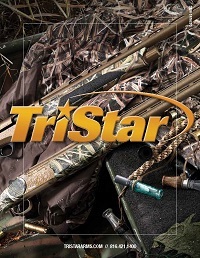 TriStar’s Sporting Clay Line allows new and young shooters the opportunity to participate in an ever growing sport without the financial commitment of many other lines. The Viper G2 Sporting has all the same great features as the rest of the Viper G2 line, it also boasts an adjustable comb, target rib with mid-bead, and 4 Beretta®/Benelli® Mobil Style Choke Tubes (SK, IC, M, F). The Sporting Model Over and Under comes with ejectors, wide target rib with mid-bead and 5 Beretta®/Benelli® Mobil Style Choke Tubes (SK, IC, M, IM, F).